RELAX, my darling Anastasians, and DO take a moment to still your palpitating hearts: a new Fifty Shades of Grey Red has NOT been released without your knowledge! 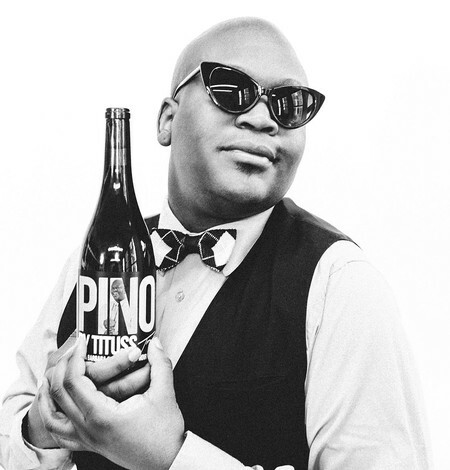 Instead, Popsugar reports that Tituss Burgess (who plays aspiring Broadway star Titus Andromedon on Netflix’s Unbreakable Kimmy Schmidt) is releasing his own wine, Pinot by Tituss, on March 14th. Challenge accepted, Popsugar! We know there’s room for more than one outstanding DVD Diva Red on the shelves this Spring! 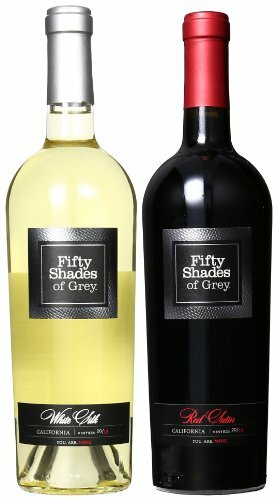 Try a glass of Fifty Shades of Grey Red Satin Wine today! Attention, Anastasians! Get ready for some Valentine Validation, since it's not just you who are craving these wines this February: Planet Jackson Hole recommends Fifty Shades of Grey White Silk and Red Satin as "Sweet Sips for V-Day" in a recent IMBIBE column! Planet Jackson Hole gushes: "Speaking of seduction, the seductive lychee, white pear and honeyed tones of Fifty Shades of Grey White Silk—an off-dry blend of Gewürztraminer and Sauvignon Blanc—is, well, a lot better than the book its name is based on. And, renowned wine writer James Suckling awarded 90 points to Fifty Shades of Grey Red Satin, a deliciously rich blend of Syrah and Petite Syrah." Toast your Valentine with one of these wines today! Huge, Fantastic FSG Wine News!!! The grooviness continues with Mr. Suckling's tasting notes: "A delicious blend of syrah and petite sirah that delivers plenty of fruit and a spicy, rich finish. Round and delicous. Drink now." Mr. Suckling also dropped some love onto "Fun and drinkable" FSG White Silk, bestowing a lovely score of 88. And now--back to the movie!!! 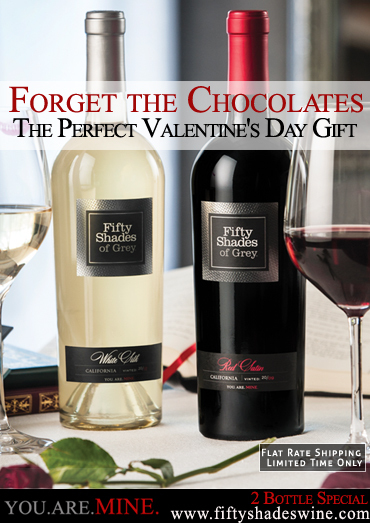 Jalearn calls the Fifty Shades wine collection "one of the best currently being offered in the market" as well as "a perfect combination of romance and excitement." The glass bottles are "designed with passion and sensuality in mind, just like what has been depicted in the phenomenal novel and movie." A treat for all the senses, and "perfect for a romantic holiday"!